We are bursting with kittens! Kitten season isn’t over yet, and we have plenty of kitties searching for their furever homes! Playful and sweet, they are all awaiting your love! We have tons of kittens of all different shapes, sizes, colors, and personalities. Girls, boys, tortie, tabby, tuxedo — you name it! 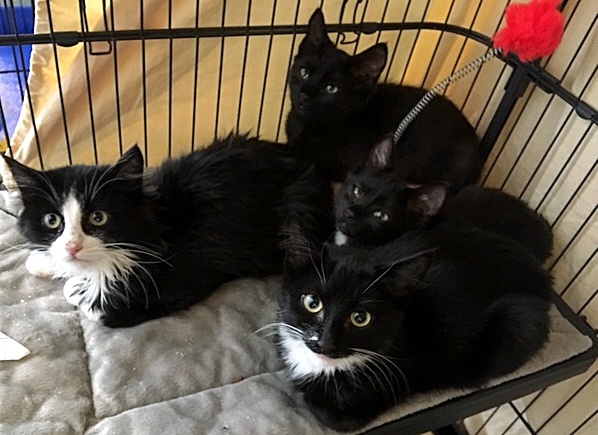 Kittens 16 weeks and under must go in pairs if there is not another social, friendly cat already in the home. They are vaccinated, micro-chipped, and spayed/neutered with an adoption fee of $135 each ($243 for a pair). Come on over to Pixie or fill out an application today to meet them!